There was a very thick and meaty Crunch which was most welcome: Particularly as they were a meaty flavour. They did not mush, neither did they mulch, but instead they broke down in sturdy and firm fashion. Our test bag came from a multipack and the first thing we noticed was the bag was particularly flat. It was not as air filled as usual and there could not possibly be the usual bends and curls. 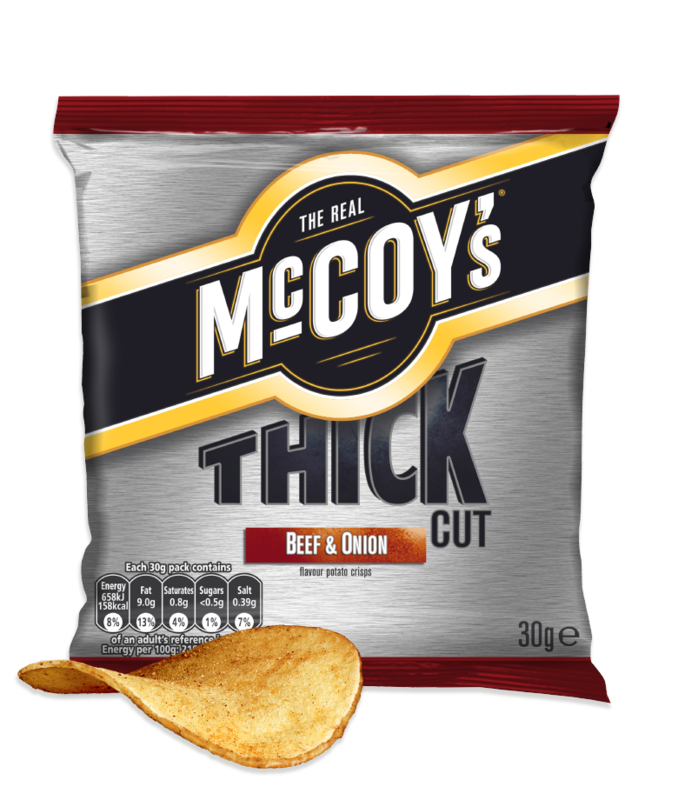 This was confirmed when the bag was opened – the Crisps were fairly thickly cut but most notably; flat. There were hardly any oil blisters. The colour was a gentle mid yellow. There was some seasoning visible. Some Crisps had barely any flavouring at all. This may have been a seasoning issue, but either way it did not auger well. The additional thickness of each Crisp naturally meant there was a particularly potato-like emphasis. There was some Beefiness and a very slight touch of Onion, but this was a very convincing effort for what should be a very easy flavour to get right.